It can pay dividends to take a sneak peek at the tools that some of the most highly respected (and uhm, successful) SaaS companies use. If you want to be the best, you have to learn from the best. 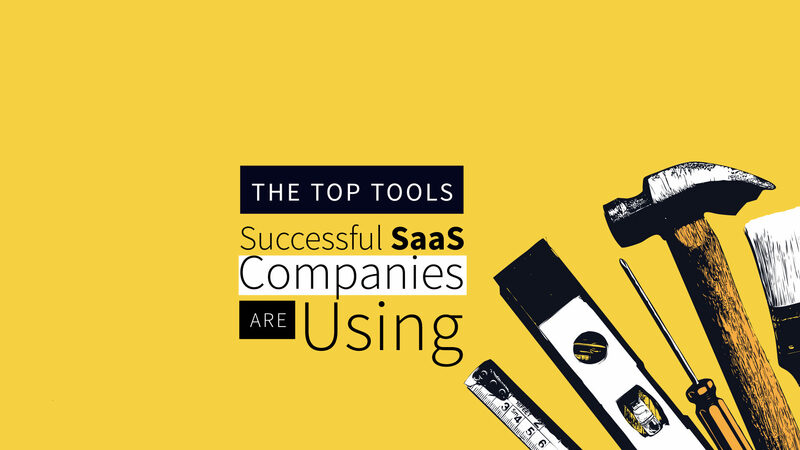 We’ve rounded up the top tools SaaS companies are using, thanks to a little tool called Built With. This handy tool is essential for SaaS companies. It lets you stay in touch with your site visitors, no matter where they are in their customer journey. Plus, it works across multiple devices. You can track site engagement, conversions and remarket to customers who’ve navigated away from your site. The Google Tag is by far one of the most powerful tools you can add to your site. After all, the more time a potential consumer sees your ad, the more likely they are to convert. Before you run any digital marketing campaign for your SaaS, make sure you have this tool fired up and ready to go. Similar to the Google Tag, the Facebook pixel lets you monitor site visitor behavior, track conversions and remarket to users on Facebook. You can reengage users who’ve completed specific actions or visited specific web pages. This is a must-have tool for SaaS companies, especially since Facebook has over 2 billion monthly users. With the Lookalike Audience function, your company can also target and advertise to potential new customers who fit the profile of your standard website visitors. Google liked this company so much, they bought it – and it is not hard to see why. Double-Click uses browser cookies to track users as they navigate the web, logging the ads they view and click. You can access mobile web, mobile app, video and desktop inventories from publishers with its AdExchange solution. And, the Creative Solutions toolkit lets you build and manage your own digital ads right on the platform. 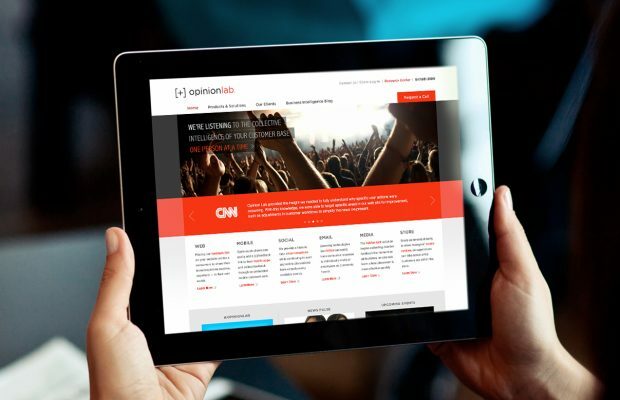 Opinion Lab provides customer experience solutions that are tailored to your business. 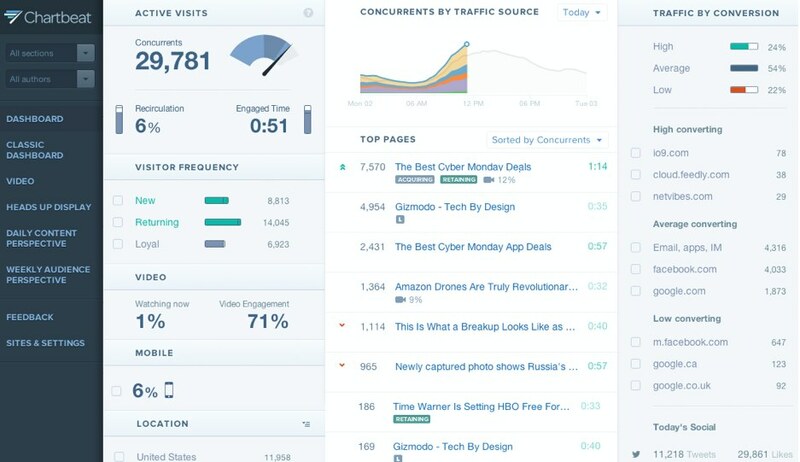 This is great for SaaS companies because it can help identify visitor trends. Plus, you can discover what they are thinking as they navigate through their sites. The app offers A/B testing tools that you can use across your site. These tools provide insights that allow you to make informed decisions that positively impact customer experience. It’s no wonder that SaaS top-dog Salesforce takes full advantage of the application. 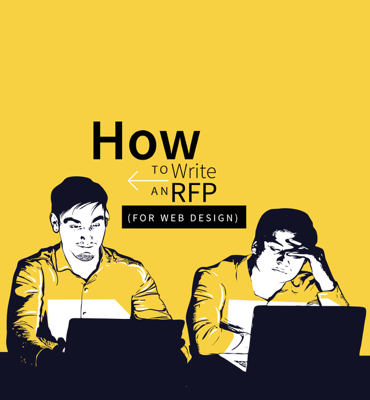 SaaS companies need to know as much as possible about each visitor who comes to their sites. Chartbeat’s API provides all this, but also lets you monitor both in real-time (so you can follow an individual user around) and historically – letting you monitor hourly traffic and monthly averages. This is one of the top tools for SaaS companies because it allows you to understand your users’ behavior, leaving little room for misunderstanding. 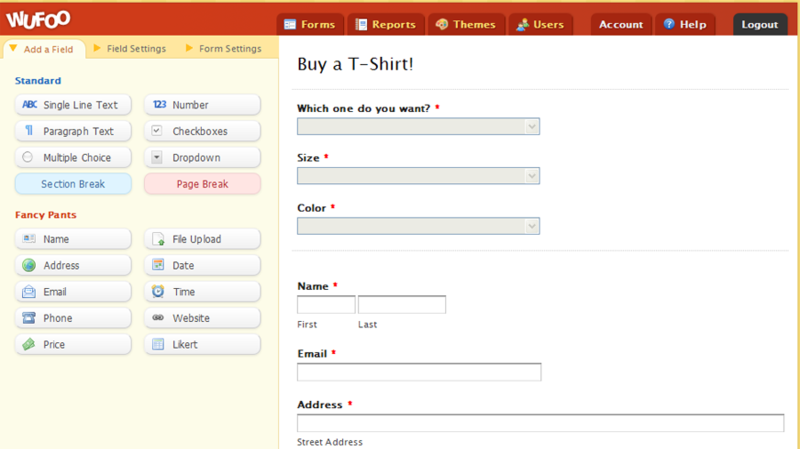 Wufoo not only lets you create a basic contact form with over 400 templates to choose from, but you can also use the widget to build online surveys and invitations and enable online payment. You can create your own logic pathways (kind of like programming in Basic, if you are old enough to remember what that was like!). You can use it to integrate a range of other solutions like MailChimp, CRM functionality with the likes of Heap and Nimble, payment with PayPal and Chargify, and website building platforms like Wix and WordPress – as well as social integration via Facebook and Twitter. Heatmaps, scrollmaps, confetti – no matter how you want to see visual representations of visitor interaction data, CrazyEgg seems to have it. Their overlay function, which gives you a percentage breakdown of clicks on your web page elements, lets you gauge your most popular calls-to-action. Its API, meanwhile is useful for SaaS developers because allows them to automate their snapshots creation and updating processes, and allows them to access results from other websites and software. If you who think WordPress is just for amateur bloggers you are wide of the mark. Scores of super-professional websites use WordPress – including no shortage of SaaS companies, such as SurveyMonkey. Its visual editor allows you to give coding a wide berth, which is great if you have technophobe contributors. It also has a range of great plugins (many of which are free) – and its makers are constantly making improvements to the platform. 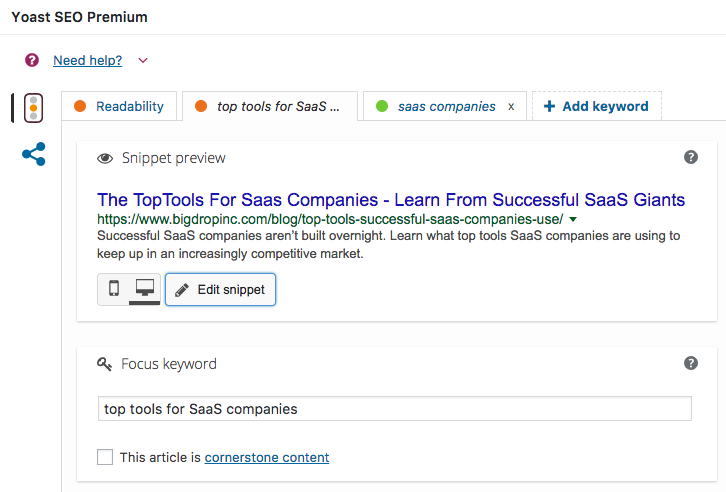 While these tools are in no particular, WordPress is among the top tools for SaaS companies, by far. It’d be easier to make a list of SaaS companies who don’t use Yoast than name the ones who do. This WordPress plugin is a trusted favorite. The free SEO package offers keyword optimization and Google search previews, while premium users can add five keywords, breadcrumb control and content insights, as well as run internal link suggestions and redirect old URLs to updated addresses. You don’t have to be an SEO expert to use Yoast, which is why it’s on the list of top tools for SaaS companies. Amateurs, professionals and everyone in between can get their SEO efforts right with this plugin. Marketo is a widely used feedback form creator. 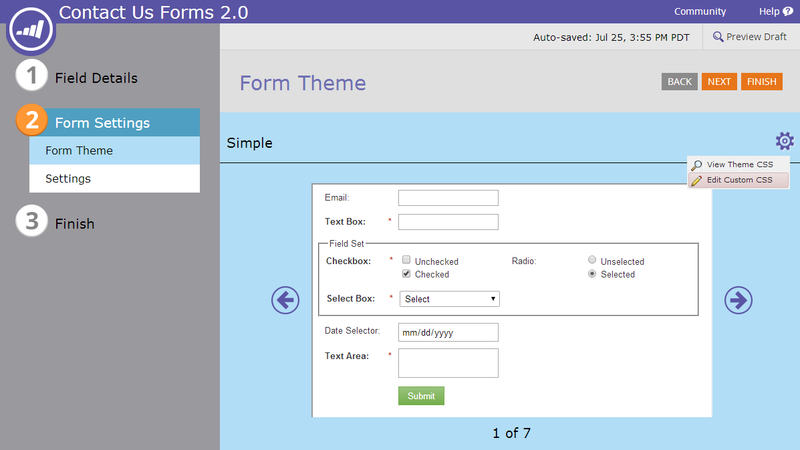 It lets you embed its forms on your website with a minimum of fuss and that’s this tool’s biggest draw. The standard forms require no real coding knowledge beyond some pretty minor copying and pasting. However, you will probably need a developer’s help if you want to go a little deeper and customize your forms’ visual look (which may not be a bad idea considering how many companies including Utah’s Domo and Pluralsight, use the tool). These are the neat pop-up window-type forms that appear when your visitors click on a link, overlaying (rather than navigating away from) the page. This can often let your site visitors feel they have simply opened a small window they can choose to minimize. And that sort of interaction can increase the chances of visitors sticking around even if they decide they don’t want to fill in any forms. There are plenty of CSS-powered tools out there for fonts, but Google’s offering is the most widely used. SaaS Google Font API enthusiasts includes Dropbox, Cylance and Avalara, to name a few. Getting started involves some HTML knowledge. However, there’s a database of over 850 font families, divided into serif, sans serif, display, handwriting and monospace categories. You can also check to see what fonts are currently trending. That helps when you want to keep up with the Joneses (or trying to create a unique look). You can narrow down your search with intuitive thickness, slant and width meters, and the font selection database has a familiar, easy-access Google layout – as you might perhaps expect from the world’s biggest search engine. It has been around since 2010, meaning that most developers are very au fait with it. But if you really want to tinker with the look of your text, you can use the Web Font Loader feature (created in conjunction with Typekit) to get advanced font loading controls and access extra web font providers. Font Awesome was originally created for Twitter’s Bootstrap, but has since gone on to accrue 20 percent of the icon (and font) market. If you want the freedom to pick and choose with your icons – like Uptake, Sprinklr and DocuSign – Font Awesome has a broad database of both icons and fonts to pick from. You can access scalable vector icons that you can customize by size, color and drop shadow with the free app. However, a paid “pro” app lets you access new designs before free app users, upgrade faster and interchange between regular and light or duotone options. Are you planning to use stock images on your website? If so, you really need to get an image provider widget. As Getty and Shutterstock are the stock image industry’s traditional giants, they tend to dominate the world of website widgets. But an increasing number of SaaS companies, like Worldpay, Autodesk and Dropbox, use Dreamstime instead. Dreamstime claims to be the world’s “largest stock community” with 68 million images, including a large section of public domain and royalty-free photos, as well as videos, sound effects and music, if that’s your thing. It also has a referral program that a lot of photographers appear keen on, and a user-friendly interface, both for users and contributors. Vidyard is one of many alternatives to the YouTube app and its handy analytics tools make it very attractive for marketing professionals. Plus, there are also integration options for Marketo, Eloqua, Salesforce solutions, Adobe and more. With open APIs, you can incorporate this platform onto your own native system, if you have one. Its central dashboard lets you manage video content and distribution channels. 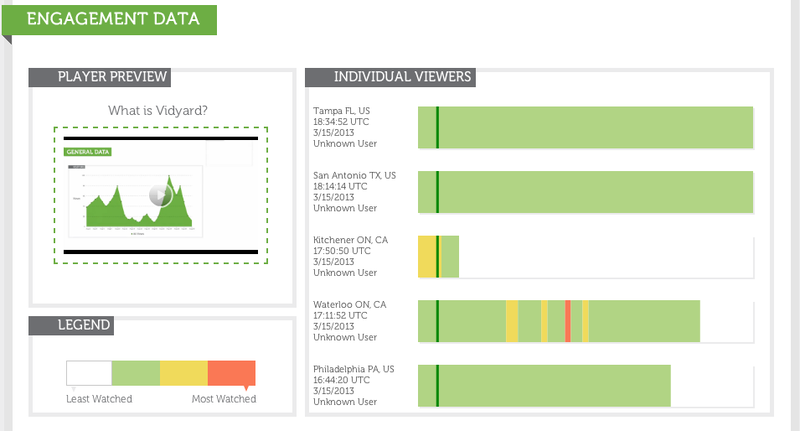 At the same time, individual viewer tracking and analytics tools let marketers identify their highest-performing assets. There are also security control tools for your video player, with IP whitelisting, user authentication and audit trails. 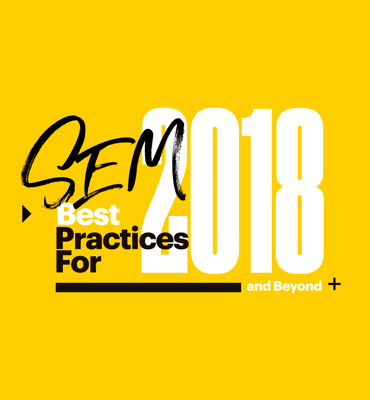 And, because Vidyard is targeted at enterprise users, it works with digital agencies and production partners to create B2B-ready video contents. 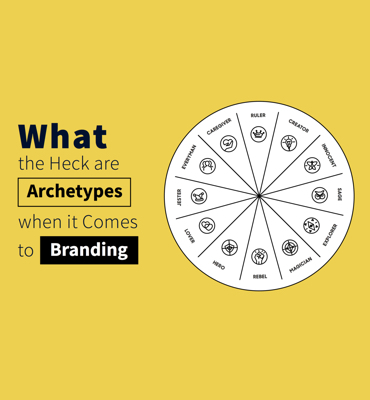 Without comprehensive stats about how people are using your website, you are pretty much lost. Leading SaaS companies like Apttus and Fuze, go for Optimizely because of its site optimization tools, which include A/B testing. Optimizely allows marketers to use real-time behavioral targeting and run customized targeting profiles for different visitors based on their interactions with your site. There’s also a visual editor option if you would rather stay as far away from code as possible. With the ability to add product, category and content recommendations to your site, Optimizely succeeds in being a one-stop optimization shop. 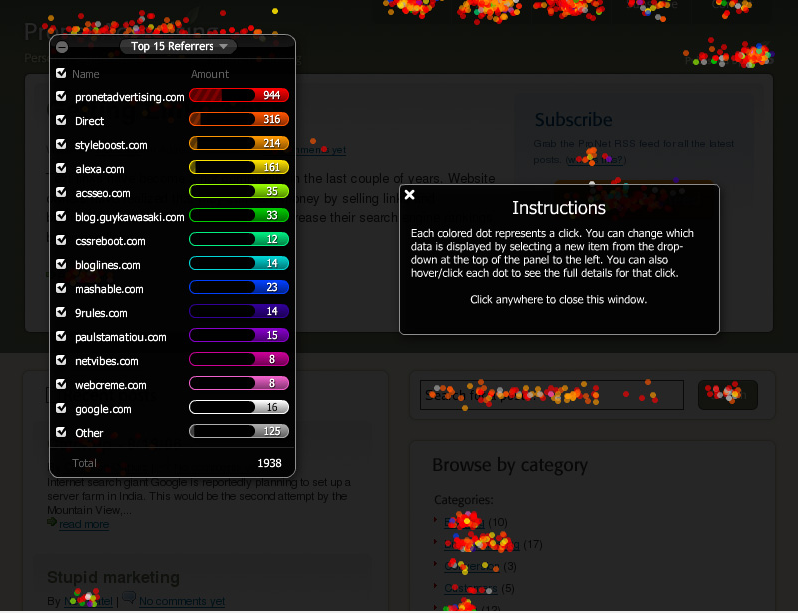 If you need to look at the parts of your website that are under-performing and try to find ways to improve, Hotjar provides decipherable heatmaps. If you have over-performing sections on your site, take time to understand how users are interacting with these sections. Ignoring your user’s experience, is a SaaS marketing mistake you definitely want to avoid. Google Analytics is most people’s instinctive port of call, but Hotjar is a very visually appealing alternative. Notable users include the likes of accounting software provider Xero and business intelligence data expert Sisense. The maps log (and lets you record) your site visitors’ scrolls, mouse clicks and touchscreen taps and shows these to you in a format not unlike a sports heatmap (like those provided by Opta to soccer broadcasters and pro clubs). 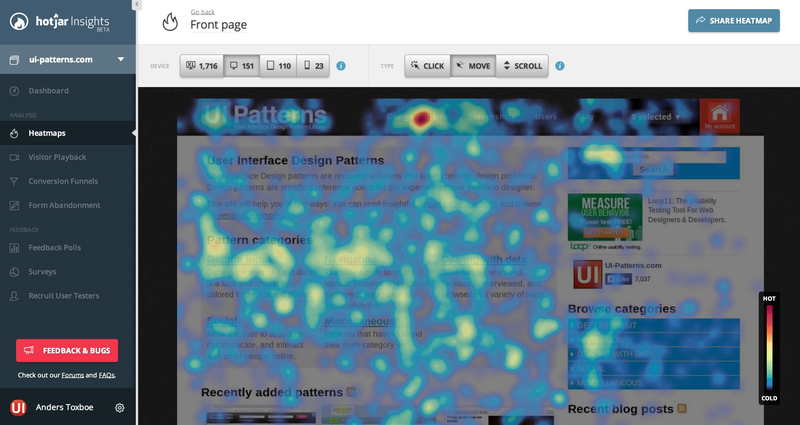 Similarly, Hotjar’s heatmap provides you with visual representations of your website, showing the “hot” red areas that are getting the most interactions. Yellow “warm” areas are getting average figures, while “cold” areas show up in blue. Ever wondered what your leads are doing with all that fancy analytics info you are giving them? 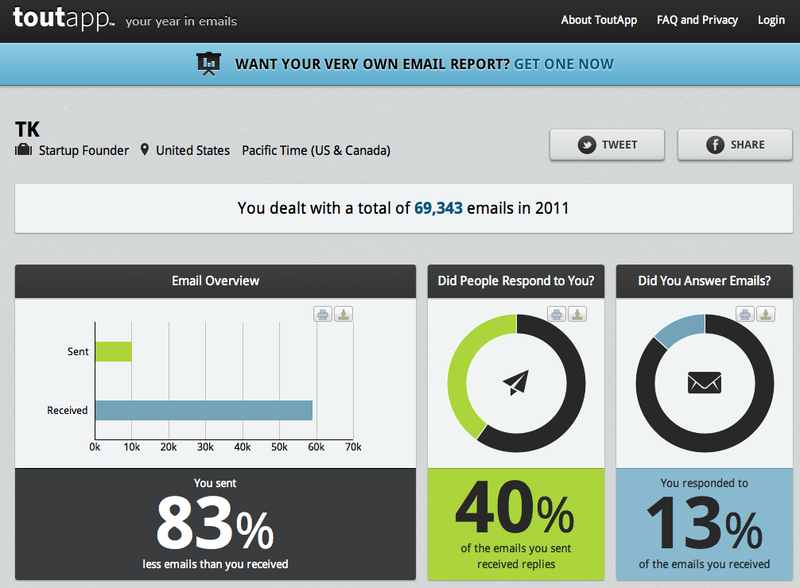 ToutApp combines lead generation functionality with analytics tools to build more productive websites. Its sales playbook provides templates, enablement content and automated recommendations for next best steps. This means your sales staff just has to follow along. And it all works through an automated logging tool that empowers sales pros with real-time website (as well as document and email) tracking data. With Gmail, Outlook, Microsoft Exchange and Salesforce integration options, you can transfer your website tracking info straight to your sales emails operations. If you distribute a WordPress newsletter, make it simple for site visitors to opt into your mailing lists. When it comes to WordPress newsletter distribution, a simple plugin might be all it takes to enable faster sales distribution. If you are just starting out, you can access the free version, which has a fairly generous 2,000 subscriber limit. Upgrading to the premium package offers you some more features. For example, you can also send out automated welcome mails and automatically email your newsletters and access analytics tools. Your competitor’s secret weapons, aren’t so secretive anymore. While most of these tools are free, keep in mind which ones will actually benefit your SaaS company’s needs.